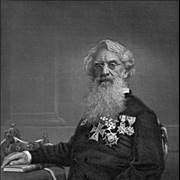 By creating of the electric telegraph and unified language that managed to connect all four corners of our world, Samuel Morse solidified his place in the annals of our history. Here you can find out the story of his life, work, and contributions to the human race. 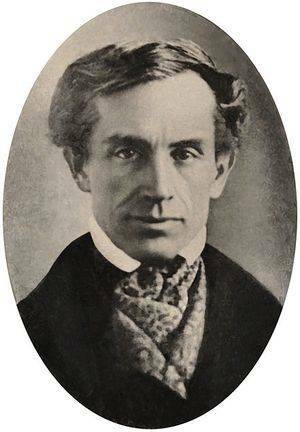 Samuel Morse (April 27, 1791 - April 2, 1872) was an American painter and inventor who is best remembered today for his invention of single-wire telegraph system and the co-inventor of the Morse code - method of transmitting textual information as a series of on and off tones. His discovery soon changed the way the messages are sent and received in the entire world, and even today Morse code is still in use in various areas of radio communications. Although he was considered to be poor during the majority of his life, he managed to live as an accomplished painter until he focused his interests on electromagnetism and electric communication. 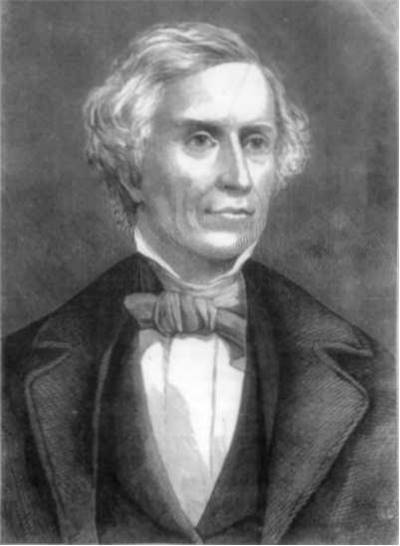 Samuel Finley Breese Morse was born on April 27, 1791, in Charlestown, Massachusetts as a first child of Pastor Jedidiah Morse (1761-1826) and Elizabeth Ann Finley Breese (1766-1828). During his youth his father inserted into his belief of his Calvinist faith and preservation of Puritan traditions. As for formal education, Samuel entered Phillips Academy in Andover, Massachusetts at the age of nine, and Yale College at the age 14 in 1805. During his college years, he earned money by painting portraits and studied the subjects of religious philosophy, mathematics and science of horse. There he also attended lectures on electricity from Benjamin Silliman and Jeremiah Day, but his focus in life remained art. 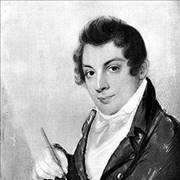 After returning home of Charlestown, Massachusetts in 1810 he wished to continue his career as a painter, but his father insisted that he must become bookseller's apprentice (and later on book publisher). A year later, his parents relent and let him sail to England for more education in Arts. In London, he attended the Royal Academy of Arts where he met and received instructions from some of the most famous English painters. Some of the most important art pieces that Samuel Colt created during that period were a statuette of The Dying Hercules and painting of The Dying Hercules that received critical acclaim. After returning to the US in 1815, he opened an art studio in Boston and started his professional career as a painter. During the several next years, he married Susan Walker Morse, which gave him three children. Some of his most notable painting works from that time were his images of the members of US House of Representatives which failed to receive acclaim by critic and public and a portrait of a Marquis de Lafayette, who was one of the leading French supporters of the American Revolution. During the painting of Lafayette's portrait Samuel received the message of his wife's sudden illness. Samuel rushed to from the Washington to his home in New Haven, only to find that his wife Susan Walker Morse (aged 25) has died few days later while he was on his journey. Devastated by this news and the inability of the current message system to give him news faster, he started devising a plan to create a new way of fast long distance communication. First moment when Samuel Morse came to the idea to use electromagnetism as a means of communication was in 1832. During one of his sea voyages, he entered into conversation with a scientist Charles Thomas Jackson who described him some of the properties of electromagnetism. After finding out that information sent via copper cables travels instantaneously over great distances, Morse started devising the plan for the creation of single-wire telegraph. 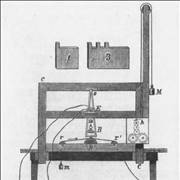 After witnessing Jackson's many experiments with an electromagnet, he designed the first telegraph and submitted his findings to the US patent office. During that period, several other scientists came to the idea to create similar communication system in Europe. Famous German mathematician Carl Friedrich Gauss and physics scientist Wilhelm Weber built first commercial electromagnetic telegraph in 1833, entire one year before Morse managed to create his first prototype. Also, English inventors William Cooke and Professor Charles Wheatstone started their telegraph four years after they heard of Morse's designs, but their greater financial resources enabled them to create working model very fast. After only three weeks of work, Cooke managed to build small electrical telegraph. Wheatstone, on the other hand, tackled the problem of sending information over the larger distances. The single battery could work only on short distances, but after combining their research, in 1837, Cooke and Wheatstone managed to create a multi-wire installation that connected two train stations in England (13 mile stretch of wire at Great Western Railway). At the same moment, Samuel Morse struggled with his designs of the telegraph. The inability of sending information to great distance came to end when he received help from the New York University's Professor Leonard Gale. With his help Morse was able to send information over the distance of 10 miles. Encouraged by this discovery, Morse started planning a first public demonstration of his system. With the financial help of the machinist and inventor Alfred Vail he organized public showing on January 11, 1838, at the grounds of the Speedwell Ironworks factory. Without an additional power source, his telegraph had the ability to send messages over two miles, and the first message that was transmitted in the presence of the local crows was "A patient waiter is no loser". Read related and interesting facts and information about Morse inventions, such as Morse’s coded language, etc. What was a pivotal moment in the history of modern communication? Read about early days of telegraph and more about Samuel Moore’s Telegraph. Morse unsuccessfully sleeked financial help and government sponsorship for the wide-scale use of his telegraph. He traveled to England to seek the patent, but there he found out that Cooke and Wheatstone already had the market conquered. In the end, Morse managed to secure the financial backing from the Maine congressman Francis Ormand Jonathan Smith. In 1842, Morse successfully deployed his telegraph system between the two Capitol committee rooms in the Washington D.C. Successful demonstration gained him the $30.000 contract to connect the two Congress buildings in Washington and Baltimore. During 1843, he successfully deployed the 38-mile telegraph line along the way of Baltimore and Ohio Railroad. First official use of that system was on May 1, 1844, when the news Whig Party's nomination of Henry Clay for U.S. President was telegraphed from Baltimore to Washington. Impressive official demonstration of Samuel Morse's telegraph happened on May 24, 1844, carrying the famous words "What hath God wrought" from the Supreme Court chamber in Washington D.C. to the B&O's Mount Clare Station in Baltimore. To this day, this demonstration is remembered as the starting point of telegraph's expansion across the world. As his creation started spreading across the eastern coast of America, Morse the continued his struggle to obtain the rights to the telegraph patents. After a long legal battle, he secured the rights to being called "Inventor of the Telegraph", in spite of his shared contributions with Alfred Vail, who helped him in the creation of Morse code. Finally in 1847 Samuel Morse received his patent for a telegraph in Istanbul, which was issued directly from the Sultan Abdülmecid, who greatly admired Morse's work. By 1851, Morse's telegraph was adopted as a standard in all European countries except United Kingdom (and their numerous overseas colonies) who continued using the telegraph of Cooke and Wheatstone. To this day, several historians claim that Morse did not come to the idea of Telegraph by himself, but that he used the findings of the American chemist and inventor Harrison Gray Dyar who transmitted first telegraph message eighteen years before Morse's patent. Morse spent later years of his life fighting the patent courts for the rights of the official recognition of his telegraph. It was recorded that American ambassador in Paris managed to collect the sum of 400.000 French francs (around $80.000 at that time) from the governments of France, Austria, Belgium, the Netherlands, Piedmont, Russia, Sweden, Tuscany and Turkey who all wanted to reward Samuel Morse for his invention. During his life Morse received substantial amounts of honors, recognitions and awards from many countries around the world. Most notable honors included his induction into Order of Glory from Sultan Ahmad I ibn Mustafa of Turkey, Great Golden Medal of Science and Arts from Emperor of Austria, a Cross of Chevalier in the Légiond'honneur from the Emperor of France, Cross of a Knight of the Order of the Dannebrog from the King of Denmark and Cross of Knight Commander of the Order of Isabella the Catholic from the Queen of Spain. He was also featured on many statues, plaques, honorary postage marks and portraits. He spent most of his life as a poor man, but at the time of his death his estate was valued at around $500,000 ($9.14 million today).